The following was written by Roger Galatas, former CEO of The Woodlands Operating Company, LP. During his 20 years with the company, he directed real estate activities and the development, marketing, management, and financial performance of the corporation's assets. The more complete history is included in The Woodlands, The Inside Story of Creating a Better Hometown by Roger Galatas with Jim Barlow. Also, articles based on the book can be accessed at rgiwoodlands.com. On October 19, 1974, The Woodlands celebrated its grand opening and the introduction of this new community to the Houston marketplace. Progress over the years has been achieved through the collaborative efforts of our employees, residents, governmental agencies, churches, civic organizations, financial institutions and business leaders who have chosen The Woodlands as a preferred location. Defining events as set forth in the following chronology have made The Woodlands unique and the achievements rather amazing. George Mitchell purchased the Grogan’s Cochran Lumber Company Land including 2,800 acres that became the genesis of The Woodlands, marking the original transaction. "Developing in harmony with nature” concept was established which emphasized the preservation of existing vegetation and a natural drainage system. 6th consecutive year - #1 in new home sales in the region. Expansion of Cynthia Woods Mitchell Pavilion seating 13,000. 7th consecutive year - #1 in new home sales in the region. 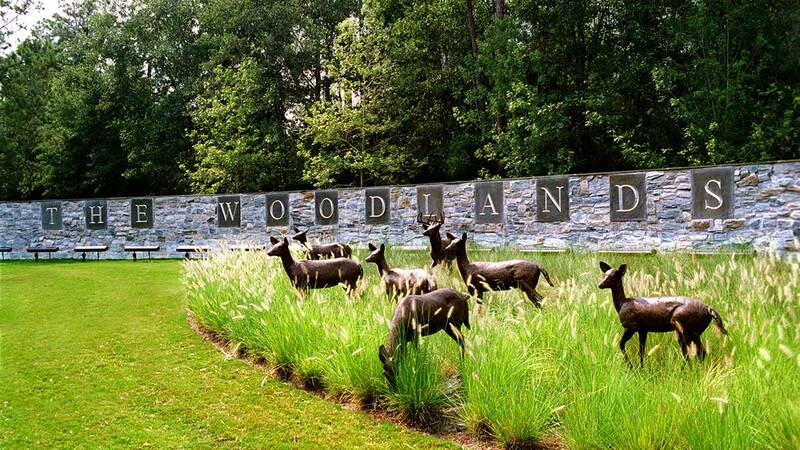 The Woodlands’ 25 Anniversary is celebrated. All-time record of 1,679 new home sales set. 800,000-square-fott Anadarko Tower open and occupied. CBI completes and occupies it new building on Lake Woodlands. The Samsung World Championships LPGA event played on TPC. Fazio Course announced in the Village of Creekside Park. December 31 the Rouse Company purchases Crescent’s 52.7% interest in The Woodlands.